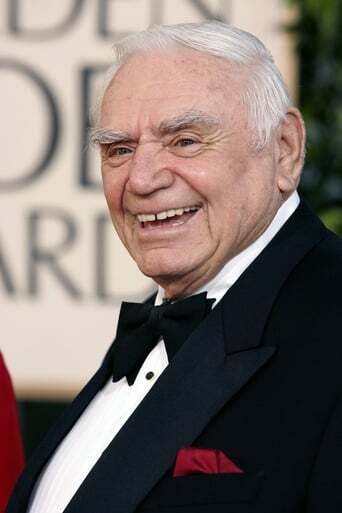 Ernest Borgnine was born Ermes Effron Borgnino on January 24, 1917 in Hamden, Connecticut. His parents were Charles who had emigrated from Ottiglio (AL), Italy and Anna who had emigrated from Carpi (MO), Italy. As an only child, Ernest enjoyed most sports, especially boxing, but took no real interest in acting. At age 18, after graduating from high school in New Haven, and undecided about his future career, he joined the United States Navy, where he stayed for ten years until leaving in 1945. After a few factory jobs, his mother suggested that his forceful personality could make him suitable for a career in acting, and Borgnine promptly enrolled at the Randall School of Drama in Hartford. After completing the course, he joined Robert Porterfield's famous Barter Theatre in Abingdon, Virginia, staying there for four years, undertaking odd jobs and playing every type of role imaginable. His big break came in 1949, when he made his acting debut on Broadway playing a male nurse in "Harvey". In 1951, Borgnine moved to Los Angeles to pursue a movie career, and made his film debut as Bill Street in The Whistle at Eaton Falls (1951). His career took off in 1953 when he was cast in the role of Sergeant "Fatso" Judson in From Here to Eternity (1953). This memorable performance led to numerous supporting roles as "heavies" in a steady string of dramas and westerns. He played against type in 1955 by securing the lead role of Marty Piletti, a shy and sensitive butcher, in Marty (1955). He won an Academy Award for Best Actor for his performance, despite strong competition from Spencer Tracy, Frank Sinatra, James Dean and James Cagney. Throughout the 1950s, 1960s and 1970s, Borgnine performed memorably in such films as The Catered Affair (1956), Ice Station Zebra (1968) and Emperor of the North (1973). Between 1962 and 1966, he played Lt. Commander Quinton McHale in the popular television series McHale's Navy (1962). In early 1984, he returned to television as Dominic Santini in the action series Airwolf (1984) co-starring Jan-Michael Vincent, and in 1995, he was cast in the comedy series The Single Guy (1995) as doorman Manny Cordoba. He also appeared in several made-for-TV movies. Ernest Borgnine passed away aged 95 on July 8, 2012, at Cedars-Sinai Medical Center in Los Angeles, California, of renal failure. He is survived by his wife Tova, their children and his younger sister Evelyn.